Warm temperatures, sunny days, salt-kissed ocean breezes, and dining al fresco. These are the essences of late spring and summer. So it makes perfect sense why more Americans think pink and reach for rosé colored glasses of wine come Memorial Day weekend. According to research giant Nielson, rosé sales truly are in the pink with a healthy fifty-three percent increase since last summer! Everything’s coming up rosés these days as producers from near and far step up to meet the demand. 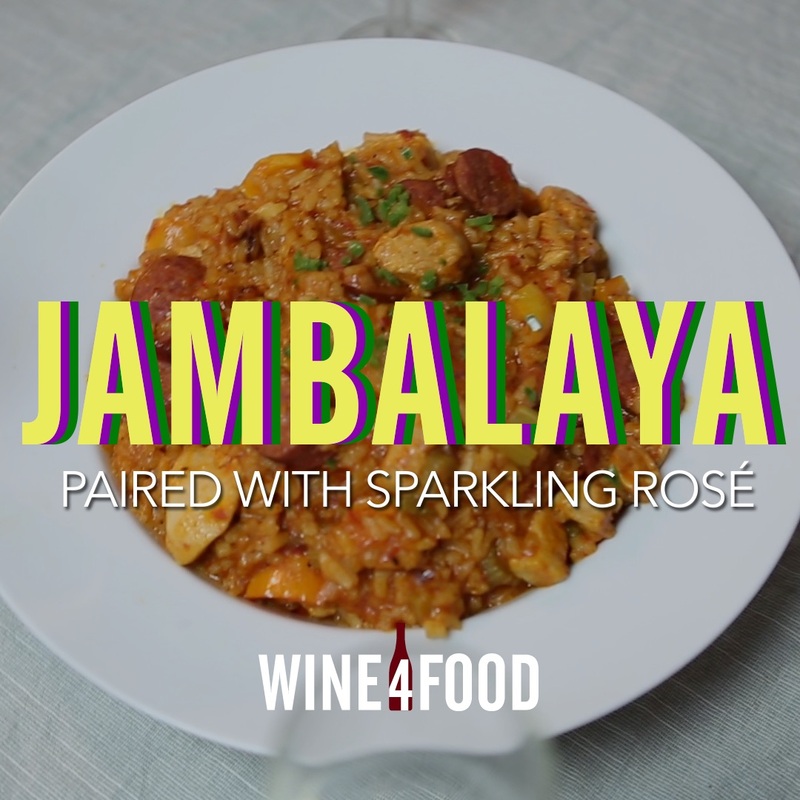 This means more rosés to try and pair with your favorite summer foods. So why are you still drinking the same rosé? 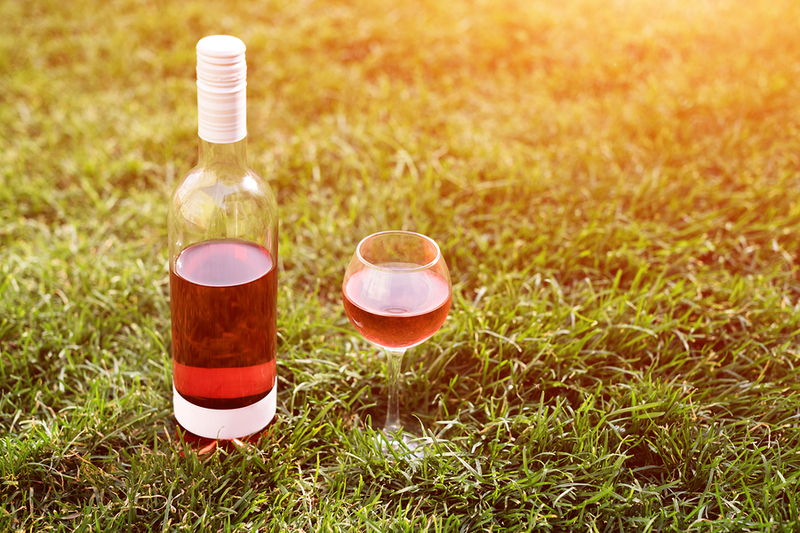 Just like that same stretch of beach or cove on the lake you always return to each summer, it’s easy to find that one bottle of rosé you like and stick to that one style or well-known producer. 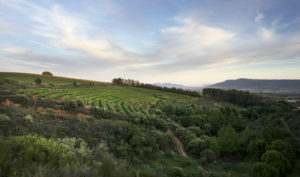 But why not step outside your rosé comfort zone and explore a little? Sink your toes into another stretch of sand. 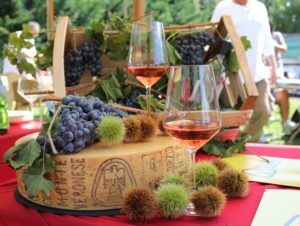 There’s a world of delectable rosés to discover from far-flung wine regions. “Blush” wines used to have a bad rap because many were poorly made or overly sweet. But these days there are better and more options in every color of the pink spectrum. 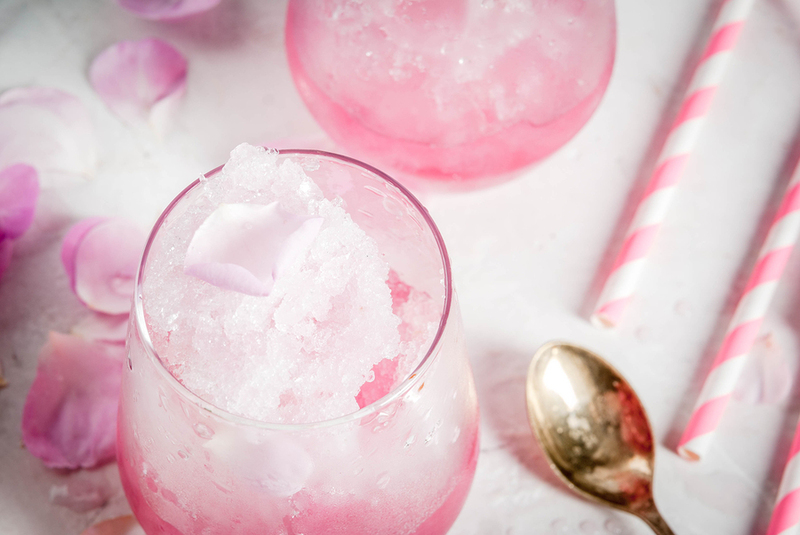 Like the iconic flower it’s named after, rosés are beautiful wines that come in many shades of pink, from pale shell pink to fluffy cotton candy to vivid deep salmon. Each is unique and delicious and offers a different profile for the palate. It’s exactly like being a kid in a candy store; the rosé you pick is simply a matter of your personal preference. Color does not dictate quality. Nor does it indicate sweetness. A rosé, whether pale blush, coppery pink, or deep strawberry in color, can be equally refreshing. Paler rosés tend to be more bone dry and lighter on the palate; darker styles will have more concentrated fruit and body to them. The wine’s color is based on the type of grape(s) used and the length of time the skin of the fruit and the juice have contact, as well as the method of production. A well-made rosé should be refreshing and crisp on the palate and not cloying. All should be consumed young (e.g., one year from bottling). 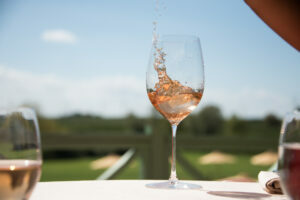 Winemakers make rosé by juicing red grapes and allowing the liquid to soak with the skins, a process called maceration. A common reference is called saignée, (French for “bleed) as in the macerated juice “bleeds” off the grapes and skins to create the rosé. The less time the juice stays in contact with the skin (e.g. 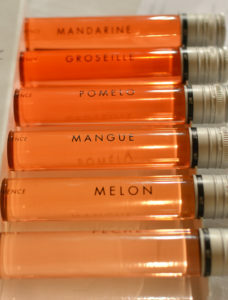 two or three days), will result in a paler color rosé. Once the desired color is reached, the skins are removed, and the juice is placed in fermentation tanks. The delicately pink super dry rosé wines of Cotes de Provence AOC and Coteaux d’Aix-en-Provence AOC have traditionally been a benchmark for all other wines. In this Mediterranean region of Southern France, most wine production is dedicated to producing rosé and cultivating red grapes just for this purpose. Anyone who has had the privilege of sitting in a café in the South of France sipping chilled rosé and eating a salad chevre-chaud or pissaladerie will tell you it was a defining rosé wine moment. It’s easy just to stick to drinking to your favorite rosé style. Everyone should have a few go-to wines to stock their wine fridge. But much like ice cream, do you want to only eat vanilla when there are so many other flavors to taste? Like any wine – red, white, rose or sparkling – it’s fun to explore different styles and various regions of the world. Push your rosé boundaries with these selections from beyond France and the USA. 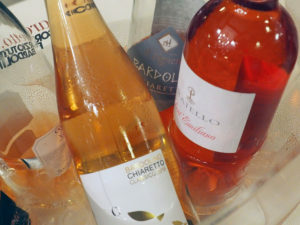 Chiaretto di Bardolino (Chiaro Italian for” light” or “pale”) are the rosé wines produced exclusively in the Bardolino DOC region around Lake Garda in Veneto using local grape varietals. The wines tend to be very refreshing with bright citrus, apricot, and herbal notes. Ramato (Italian for “copper”) is a coppery-pink rosé made from the Pinot Grigio grape. These wines can be full and fruity. Cerasuolo (Italian for “cherry”) is produced in Abruzzo from the Montepulciano grape. Spanish Rosado wines are produced throughout the country. In D.O. Navarra more than half of the wine production is dedicated to making rosés as rosy as your cheeks in the winter. D.O.Ca Rioja has seen a surge in popularity for its rosés made from both the Tempranillo, Graciano and Garnacha grapes. And Txakoli, while better known for its lemony-crisp white wines, also has rosés that are worth seeking out for their equally palate popping freshness. Greece has more than 300 indigenous grapes. These distinctly different rosés are made from two of them. Austria’s Shilcher rosé is made from the native Blauer Wildbachergrape (a relative of the better known Blaufränkisch grape); it produces a refreshing, fruitier style rose with higher acidity, thanks to the cooler climate. *Whether it’s called Rosato, Rosado, Ramato, or Chiaretto, a Rosé by any name is the epitome of the laid-back, simple pleasures of summer. Drink it chilled. Share with friends, and like a good party, mix it up!